With more than 50 million copies of his books in print, John Jakes is one of the preeminent novelists of American historical fiction. Now this beloved storyteller takes readers to Charleston, South Carolina, in a stunning multigenerational saga that tells the story of two apocalyptic, nation-shaping wars as seen through the eyes of a powerful South Carolina dynasty. Written in three parts, Charleston follows the lives, loves, and shifting fortunes of the Bells, saints and evildoers mingled together in one unforgettable family, from the American Revolution through the turbulent antebellum years to the Civil War and the savage defeat of the Confederacy. Delving into our country's history as only he can, Jakes paints a powerful portrait of the Charleston aristocracy who zealously guarded their privilege and position, harboring dark family secrets that threatened to destroy them all. 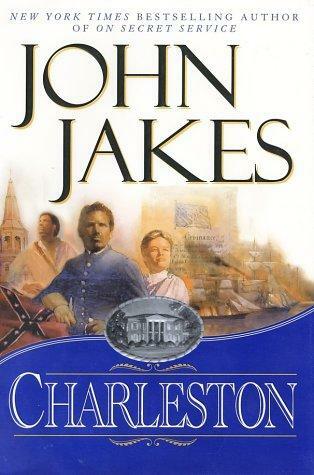 Sweeping from the bitterly divided Carolina frontier of the 1770s through the tragic destruction of the city during the Civil War, and peopled by a sprawling cast of memorable characters-patriots and cowards, aristocrats and abolitionists, slaves and freedmen, heroic men and courageous women-Charleston represents America's premier storyteller at his very best.